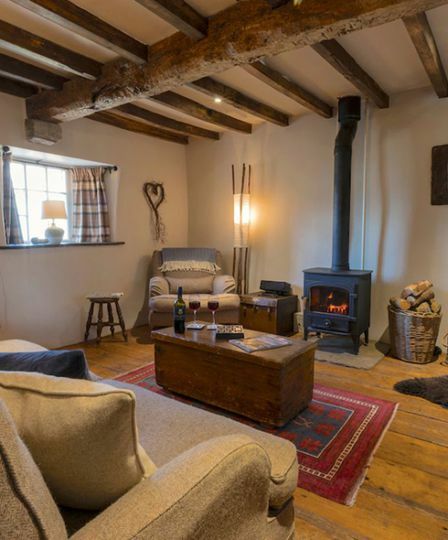 When we add to our cosy collection, we look for roaring log fires, country walks from the door, great kitchens and the most comfortable beds as standard. But we also look for something that will surprise you, something really memorable. Here are our favourite romantic escapes to try this autumn. Sitting above the brilliantly named Bamaluz Beach, Black Moon takes romantic to a sleek extreme. The water is so close that at high tide, it crashes against the side of the house, filling the air with a wonderful salty smell. This stretch of the Cornish coast gets busy during summer so autumn, though often blustery, is a calmer and more refreshing time to visit – go to explore wide and quiet beaches, eat freshly landed fish and wander around the collection of local artists’ galleries. 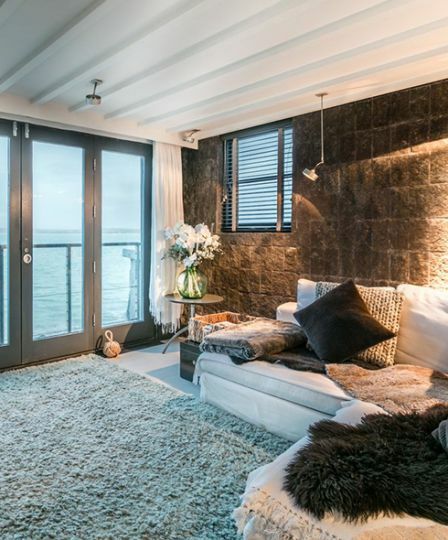 When you return, find the Enid Blyton-style trap door that leads you down to your own private cave where you can lie on the fur rugs with a glass of wine and watch the sun set into the sea. 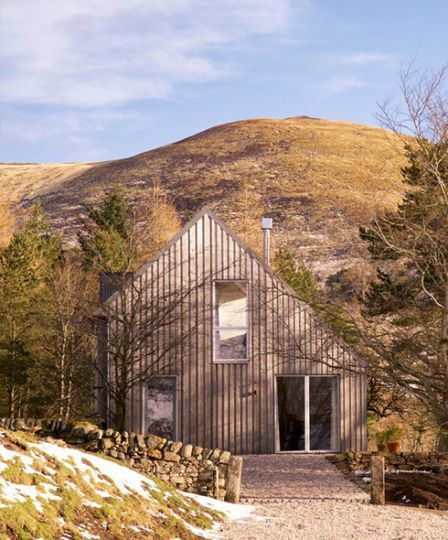 It’s a mile drive down a bumpy track to get to this romantic cottage in the Pentland Hills, but once you arrive you’re rewarded with complete serenity. There’s nothing surrounding you but rugged heather and the glens of the Pentland Hills Regional Park where you can get lost all day hiking. After, all you’ll want to do is put on the kettle, get the log-burner going, hop into the hot tub and gaze up at the stars. Once you’re all hiked-out, Edinburgh is only 10 miles away and is great for exploring the Old Town, going shopping or tasting the local whisky. In the hamlet of St. Catherine sits this cosy wooden cabin surrounded by fields and woodland. You can breakfast on freshly-laid eggs, pick apples from the orchard and walk the surrounding countryside straight from the door. 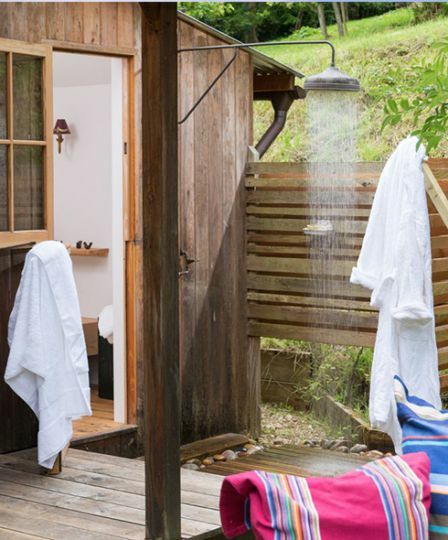 There’s even a glorious outdoor shower that will warm you up after a long day hiking the hills and a lovely wood-burner for dark nights in. Though you could quite happily retreat from the world here, it’s worth exploring the Limestone Link, going for a pint at the local pub and discovering the lovely independent shops only miles away in Bath. A beautifully renovated cottage and heavenly hideaway for couples, coddled between the Lakes and the Dales. On cold evenings, snuggle up by the wood-burner in the beamed sitting room with your welcome basket: champagne, locally made chocolates, homemade bread and cake. Days can be spent walking the nearby Smardale Gill Nature Reserve, over a stunning disused railway bridge, or wandering over limestone pavements. For dinner, The Black Swan Inn is just over the fields and once you’re back, jump into the red rolltop bath in the garden and soak under the stars. 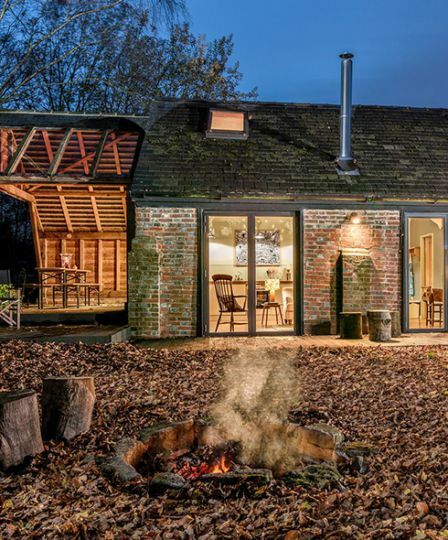 This is a super stylish barn conversion that’s brilliant for garden lovers, antique hunters and walking devotees. You can help yourself to vegetables from the garden and cook up a mean stew, toast marshmallows on the campfire and lose touch with the outside world. At the foot of the South Downs National Park, you’re in a prime spot for visiting Seven Sisters, Beachy Head and Cuckmere Haven or for walking the South Downs Way. The surrounding area has also always been a haven for artists and writers, and now Lewes is brimming with a delightful array of independent shops. It’s also excellent hunting ground for antiques and flea markets, plus farmers’ markets and local breweries.